Nutrition is an often overlooked part of many players golf games, but can be the difference between a clear mind and steady hand when you reach the last few holes on the back nine. We all love knocking back a few beers while on the course but if you're serious about lowering that handicap, take a look at these handy tips from exercise physiologist Brendan McCann about how to stay focused pre, during, and post round. As an exercise physiologist and avid golfer, Brendan deals with many golfers of all ages for a myriad of conditions. Everything from joint rehabilitation, pulmonary rehabilitation, knee injuries, and physical therapy. But, he says the easiest way to improve your game can come down to your diet! A night before the game, ensure your plate comprises of lean protein including fish or chicken, low-starch vegetables such as broccoli or green beans and high-fibre foods such as brown rice. Avoid foods with high levels of fat such as pasta, cream and steak. Before retiring for bed drink plenty of water as this will be vital. Also, steer clear of alcohol as it will cause problems for you in the morning. In the morning before you touch a golf club ensure your breakfast does not disadvantage you. It's advisable to take 1 whole egg, a handful of nuts, fruits and some strawberries for example. One mistake to avoid is skipping the breakfast as some golfers tends to do. In case this is not possible at least take some protein coupled with carbohydrates to ensure there is no imbalance of the sugar in your body. It's important to avoid pastries like danishes and white bagels when one is just about to get involved in physical activity. A vital point to note is that if you do decide to eat breakfast, it is recommended doing so 3-4 hours prior to the game. However, if the food taken is easily digested then 2-3 hours is also recommended. The most important part of every game, golf included, is the preparation one had especially with regard to the body. No matter the immense experience or outstanding talent one might have, if the body is not functioning well, it will prove hard to focus. With golf, nutrition is vitally important. There is nothing wrong with eating snacks during the game so long as their glycemic value is low. These will greatly help in ensuring your sugar levels remain balanced throughout the playing time. One can choose trail mix, nuts and protein bars; whole fruits are also recommended. Avoid highly caffeinated drinks especially if the game is competitive. In addition, avoid sodas as they tend to cause an imbalance and instead substitute with water. Also, do not make the mistake of ignoring the need to eat these foods as this could have dire consequences. There is a tendency by some golfers to avoid food and even water completely during the sport. However, this is highly discouraged for a couple of reasons. First, the body needs water since you use more energy in this sport than you probably think. Keeping the body hydrated will help the golfer in maintaining the energy the body needs besides ensuring possible headaches are mitigated. Secondly, depending on the amount of breakfast eaten, the body might demand, and the only right thing to do is oblige. Thirdly, the body needs rejuvenation during the game. Often when the adrenaline takes control, ignoring meals and other fluids becomes common, but one has to resist this temptation. Irrespective of the game's outcome, remember the body still needs the attention to enable it to function properly next time. Obviously, the body loses some energy and other vital nutrients when playing the game, meaning their replacement is imperative. As is the case with other sports, you should take a meal within 45 minutes of completing the sport. This period is often described as 'metabolic' because the replenishing enzymes are normally performing at their best levels. Furthermore, insulin is pretty active during this period, thus the need to take meals during this time. Nonetheless, not all foods are helpful to the body even at this stage. Eating the following foods is healthy option: nuts, whole fruits, yoghurt, a protein mix of peanut-butter sandwich; bagel accompanied by cream cheese.Try to avoid that greasy burger that they're selling at the golf club and opt for something a bit lighter. Good nutrition is necessary for golfers who have a fervent passion for playing to win. Just to reiterate, with proper preparation which is significantly dependent on the types of food the golfer eats, winning will not be as hard. Avoid all the meals listed as unfriendly in this piece and you will be amazed at the results on the golf course. To enjoy golf, nutrition comes first. In other words, before thinking of golf, think about dinner! 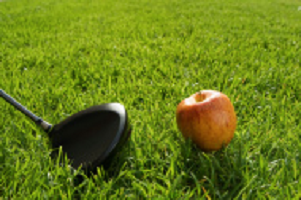 Need a Nutrition plan to help improve your golf game? Visit Live Well Rehab North Brisbane today for a comprehensive exercise plan to keep you fighting fit and playing your best.